E*Trade Partners With TipRanks: Clients Can Now Track Performance of Pundits’ Recommendations. 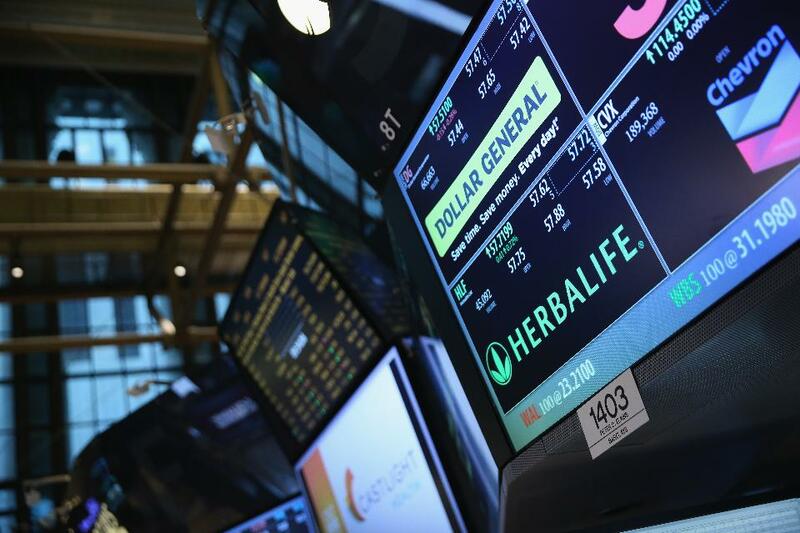 NEW YORK, NY – MARCH 14: Traders work the floor of the New York Stock Exchange as Herbalife stocks are traded on March 14, 2014 in New York City. The Federal Trade Commission is investigating the Califrornia-based company. The company has been the target of a short-sale campaign by hedge fund Pershing Square, which gambled $1 billion that the comany would fail. (Photo by John Moore/Getty Images). With all the excitement surrounding robo-advisors and automated investing advice, it’s easy to forget that there are people out there who still prefer to manage their own investments. It’s a sizable group, too. According to Statista, there are 14 million people living in U.S. households that used an online investing/stock trading service within the past 12 months. That number has grown 20% since the spring of 2008. Just as recent technological advances by startups like Wealthfront and Betterment have enabled the automation of basic asset allocation, do-it-yourself investors have also been privy to a significant upgrade in the tools they use to pick stocks. There’s been a bull market in stock market opinion ever since blogging became as easy as managing an email account. But with this deluge of people touting stocks online, it’s become increasingly harder for investors to know whom to trust. Seeking Alpha, a well-known aggregator of stock market opinion, alone had articles submitted from 6500 different contributors and commentary from almost 200,000 different people during the period of 2005 – 2012. While an investment bank analyst’s or blogger’s investment thesis on a particular stock may seem perfectly reasonable, tracking his performance over time has proven more difficult to compute. But that’s where technology can help. The ability to aggregate all these stock market opinions and overlay historical performance would give an investor a roadmap of which pundits were worth following (and who wasn’t). This hasn’t been lost on the online brokers. E*Trade announced today that account holders would have access to TipRanks within their online brokerage accounts. From a universe of 3,700 sell-side analysts and 4,500 financial bloggers, TipRanks identifies talented stock pickers by using lots of real data. In measuring the value of an analyst’s recommendation, TipRanks takes a scientific approach to what was once a murky process, factoring in the percentage of an analyst’s recommendations that results in a positive return, the average return per recommendation, and the number of recommendations an analyst has made. This methodology allows investors to narrow the universe of recommendations based on analyst track records. “As investors increasingly search for ways to navigate market noise and social chatter, TipRanks cuts through the clutter by offering one-stop access to vetted expert insight and community sentiment,” said Dave Herbert, SVP of Retail Services at E*TRADE Financial. While anyone can set up a blog and start writing about the markets, stock market opinion matters. In a research piece, Wisdom of Crowds: The Value of Stock Opinions Transmitted Through Social Media, authors Chen, De, Hu, and Hwang found that stock market opinion, as found on Seeking Alpha, predicted stock returns, as well as earnings surprises, above and beyond what was evident from Wall Street analyst reports and financial news articles. By performing sentiment analysis on the content and constructing a portfolio that went long the stocks the Seeking Alpha community liked and short the ones it didn’t, the researchers showed a multi-year return of some 40%. The virtual profitkept growing through the 2008 market crash. The researchers found that Seeking Alpha was the “only platform to date that we have shown can predict individual stock returns”. To compete with one another, online brokerages frequently add new data and information providers all the time to their platforms. In 2015, TD Ameritrade launched a social media tab within its research platform. TD Ameritrade’s research platform tracks social sentiment and volume of stocks mentioned on Twitter TWTR +4.43%, giving investors a view into how other investors see a stock’s short term prospects.Fidelity’s brokerage arm also offers its customers access to lots of analysis. Fidelity clients can read research reports from 20 different providers, including Recognia, Ned Davis, S&P Capital IQ and McLean Capital Management. To help users assimilate all this information, Fidelity produces its own Equity Summary Score on its stock pages which assigns a consolidated, “accuracy-weighted indication” rating of its independent research providers’ stock sentiment. To compute theEquity Summary Score, Fidelity uses data from StarMine, a divisionThomson Reuters TRI +%. Built for institutional investors, StarMine uses recommendations from various research providers and the past performance of their recommendations at the sector level to create a quantitative metric, the StarMine Relative Accuracy Score, for a given stock. But unlike StarMine, whose scores are provided only at the firm level, TipRanks monitors individual analysts’ opinions, making it easier for investors to decipher performance of analysts at larger research firms. The company’s data presents analyst consensus and average price targets for stocks on a graph to clearly indicate analyst opinion on price movement. TipRanks assigns one to five-star accuracy ratings for individual analysts, along with average returns and success rates. The firm also offers aggregate financial blogger sentiment over a 12-month period for a particular holding. TipRanks was launched in 2012 as the brainchild of founders, Uri Gruenbaum and Gilad Gat. Gat brought the technical chops to building a big data platform after software development roles at Intel Corporation, Check Point Software Technologies and the Israel Defense Force’s prestigious Intelligence Unit 8200. Gruenbaum was a senior project manager at ARX, where he managed the security aspects of Israel’s national biometric database and led the development of the electronic passport project. Inking a partnership with E*Trade was an interesting process for the fintech startup. It all began when E*Trade’s CEO Paul Idzik traveled to Israel in 2014 searching for innovative fintech companies. He met with 18 of them; TipRanks wasn’t originally one of them. ”I believe that, at first, Mr. Idzik wasn’t interested in meeting us because it wasn’t clear from our website what we do and how we work with Financial Institutions,” Gruenbaum, TipRanks’s CEO, explained. “Then he met with the Chairman of the biggest bank in Israel, Bank Hapoalim, who is also one of our partners. Mr Yair Seroussi shared with him the bank’s experience with our service and how engaging it was, which led to a meeting and eventually, to many more meetings and ultimately, a pilot.” Zack Miller is the Editor-in-Chief of Tradestreaming, where top professionals go everyday to read about the business, trends, and digital disruption of the finance industry.